Carphone Warehouse: not the place to look for an Apple Watch. Photo by morebyless on Flickr. A selection of 10 links for you. None is a leftover April Fool’s. I’m charlesarthur on Twitter. Observations and links welcome. Japanese online game maker DeNA Co Ltd on Wednesday said it wants its new partnership with gaming giant Nintendo Co Ltd to yield titles that bring in over 3bn yen ($25.02m) a month. The alliance, announced on March 17, will bring Nintendo characters such as Super Mario and Donkey Kong to smartphones, and see their jointly developed games available through phones and tablets as well as Nintendo’s Wii U and 3DS consoles. DeNA Chief Executive Isao Moriyasu said the partners would release their first game later this year, but was coy on which character from Nintendo’s trove of intellectual property (IP) would be featured. Ambitious, but should be feasible. Nintendo takes in roughly 25bn yen per month in software sales at present. In the international market for phones, Samsung’s Galaxys are relatively expensive. They sell for about the same price as Apple’s latest devices, $199 and up with a two-year contract, or more than $650 without a contract. But powerful phones made by low-priced Chinese sellers, like the OnePlus One, often sell for less than half the price of high-end Samsung and Apple devices. If you pay the premium price to Apple, you get a phone with a well-designed operating system, no overlapping preloaded apps, and a host of services that often work very well, like iMessage, Apple Pay and expanding compatibilities with Apple’s personal computers and devices like the Apple TV and, soon, the Apple Watch. You can criticize Apple’s sticky ecosystem as a form of consumer lock-in, but Apple sure has built a luxurious prison, and customers are willing to pay extra for it. If you pay that premium to Samsung, you don’t get a whole lot more than you can get on, say, a phone made by Xiaomi, OnePlus or any of a dozen smaller players. That, indeed, is the problem. The United Arab Emirates was the country most targeted by the attackers, followed by Saudi Arabia, Pakistan, and Kuwait. Computers are initially infected with Laziok through spam e-mails coming from the moneytrans[. ]eu domain. The e-mails contain a malicious attachment that exploits a Microsoft Windows vulnerability that was patched in 2012. The same vulnerability has been exploited in other attack espionage campaigns, including one that used the Red October malware platform to infect diplomatic, governmental, and scientific organizations in at least 39 countries. The Laziok exploit typically came in the form of an Excel file. Patched in 2012, but not patched. The state of security today. even if Jay-Z and company were truly independent, they would be heavily incentivized to avoid exclusivity as well: remember that music has high fixed costs but (especially on the Internet) zero marginal costs. That means the best way to make money is to sell as many units as possible in order to spread out those fixed costs. That, by extension, means the optimal strategy for whoever owns the music is making it available in as many places as possible – the exact opposite of an exclusive. This ultimately is why Tidal will fail: it’s nice that Jay-Z and company would prefer to garner Spotify’s (minuscule) share of streaming revenue, but there is zero reason to expect Tidal to win in the market. Tidal doesn’t have Spotify’s head-start or free tier, it doesn’t have Apple’s distribution might and bank account, and it doesn’t have any meaningful exclusives3 — and to be successful, you need a lot of exclusives; it’s too easy and guilt-free to pirate (or simply skip) one or two songs. Apple’s strategy with music streaming continues to be a work in progress, but from what we know, curation and discovery will be two main tenets of a service that uses music exclusives as a carrot to entice users. In what could be a major negative, Jimmy Iovine reportedly was unable to get the cost for this music streaming service down to $5/month, with record labels demanding Apple remain steady at the “me-too” $9.99/month price. The primary problem with this chain of events is that music executives are hardly in a position to be dictating pricing and business strategy in an industry that may be fundamentally broken, yet again, by technology. Music streaming is split into free and paid and there is risk that without a free offering, Apple may not reach enough scale to force consolidation among streaming services. A $5/monthly price was thought to alleviate some of this risk, but with Apple possibly needing to ship at $9.99/month, one has to wonder if management is pleased with how the product is shaping up. One theme that permeates this discussion is Apple’s forced hand. With iTunes Radio, a seemingly “me-too” product compared to Pandora, Apple has seen moderate levels of success, but nothing that would jump out to an observer as ground-breaking. Apple risks a very similar fate with a paid music streaming service: garnering enough success to warrant respect with the endeavor (mostly because the bar is set so low), yet unable to capture the music industry like it was 2005 again. In essence, Apple would be stuck in catch-up mode. Without a $5-per-month tier, the music industry is never going to break YouTube’s grip – which is essentially ad-supported streaming where the labels don’t get the same cut as they would from a paid service. The switch to BST seems to have confused my Nest! I have a manual schedule setup, auto schedule is disabled and the Nest didn’t come on at the new time this morning! IEEE’s new standard on patents that lowers royalty fees is making some members angry. The IEEE’s decision to approve a bitterly contested change to its patent policy, has, perhaps unsurprisingly, caused bitter divisions among its members. The revised rules would see the royalty fees large vendors have to pay reduced significantly, particularly in the wireless sector. Compensation for a company’s IPR would now be based on a percentage of component price rather than the whole device, as is generally the norm. Another consequence of the revised approach to royalties is a more realistic definition of what represents Fair, Reasonable and Non-Discriminatory (FRAND) when it comes to valuing a company’s standards-essential patents (SEP) such that the inventors get a fair return on sometimes huge investments into developing innovations, while at the same time not building barriers to entry for new products and new suppliers. I missed this at the time; but it’s pretty dramatic. Lots of lawsuits have previously involved demands for royalties on finished products, which – if you think about it – is daft: if an essential patent only affects some tiny part of the operation of a device (eg Wi-Fi on the Xbox 360, as an example) why should Microsoft have to pay a proportion of the finished price? This doesn’t have “non-practising entities”, aka patent trolls, pleased. Here’s Bill Merritt of Interdigital (an NPE) fulminating about it – and saying it won’t play ball. Seems minimal, but this could have big long-term effects. Sony Mobile Communications aims to ship 38m smartphones in fiscal 2015 (April 2015-March 2016), down slightly from 39.2m units shipped in the previous fiscal year, according to sources at Taiwan’s handset supply chain. The lower shipment target comes as the Japan-based vendor is still overhauling its handset business and has also shifted its focus to the mid-range to high-end segment, said the sources. Despite the absence of new orders from Sony Mobile since the fourth quarter of 2014, Taiwan’s ODMs have begun shipping some new models to the Japan-based vendor recently, including the Xperia E4 from Arima Communications, Xperia E4g from Compal Electronics and Xperia M4 Aqua from Foxconn/FIH Mobile. Sony seems to be keeping focus on waterproofing, removable batteries and SD cards – unlike Samsung. How’s this going to play out? 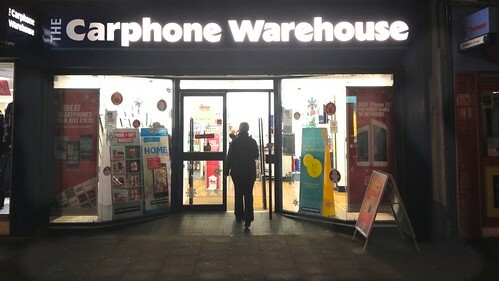 Carphone’s UK chief executive, Graham Stapleton, said that the 800-strong high street chain will not be part of the launch next month. Instead of selling its smartwatch thorough the same channels as the iPhone, Apple will court high-end fashion shoppers in more exclusive locations, as it charges prices as high as £13,500 for the top-of-the-range model. Window displays at Selfridges’ flagship Oxford Street store, for instance, were concealed behind Apple-branded hoardings on Tuesday in preparation for the launch. Colour me totally unsurprised that Apple isn’t selling the Watch through CPW – which, for American readers, is like Best Buy for phones. This entry was posted in links and tagged apple, applewatch, frand, ieee, music, patent, samsung, sony, tidal, youtube by charlesarthur. Bookmark the permalink.